Costa Mesa, CA, April 24, 2017 – DocMagic, the mortgage industry’s leading provider of document preparation, automated compliance and comprehensive eMortgage services, BeSmartee, a leading online mortgage automation company and LendingQB, a provider of lean lending loan origination technology solutions, will hold a webinar discussing the opportunities and challenges of the “Digital Lending” paradigm on April 26, 2017 from 10 a.m. to 11 a.m. PST. 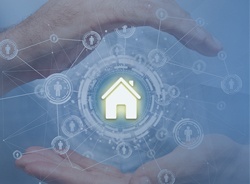 Webinar attendees can expect to hear how the mortgage lending process is being transformed into a pure digital format, and how that impacts borrowers, lenders and institutional investors. Webinar topics will include a discussion of current-day digital lending efforts on the point-of-sale, loan origination, closing and delivery phases of mortgage lending. The three hosts will demonstrate how their systems interact with each other and highlight the critical aspects of data integrity, workflow, exchange and compliance that provides the necessary framework for a pure digital lending process.